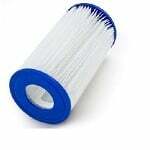 Sta-Rite carries pool and spa filters for your water filtration needs. As part of the Pentair brand, Sta-rite pool and spa products are designed with quality and durability in mind. Sta-rite began in 1934 and has been developing and producing innovative parts for residential use, in over 100 countries, ever since. 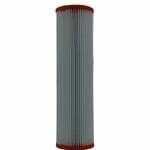 FiltersFast.com offers superior replacement filters that offer the same benefits as Sta-rite brand products. 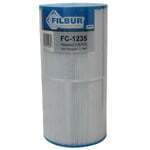 The FiltersFast FF-0181 is the compatible replacement pool and spa filter for the Sta-Rite 25230-0075S. 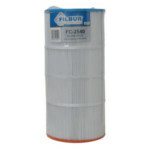 The Filbur FC-2540 Sta-Rite TX 70 Pool & Spa Filter replaces Unicel part number UHD-SR70, Pleatco Part Number PSR 70, and Harmsco H-SR70. Also known as Sta-Rite TX-70, FC2540, UHDSR70, PSR70, HSR70, and WC108-572SX. 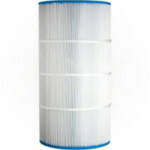 The Sta-rite 25230-0175S R is a compatible replacement for the following pool and spa filters: Hayward C-1750 Unicel C-8417 Aladdin 27501 The Sta-Rite - 25230-0175S Comp. Pool Filter has top and bottom open holes with diameters of 4 inches. The Sta-Rite 25230-0125S Comp. Replacement Pool Filter measures 8 11/16" x 28 3/16" with 4" Open top and bottom styles. 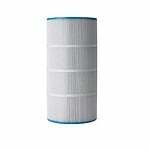 Featuring 125 square feet of media area, this compatible Sta-Rite filter purifies the water in your swimming pool or spa.